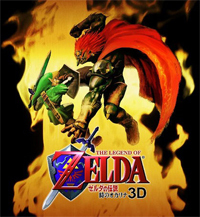 A couple of guys over at Andriasang, a website providing gaming news from Japan, got a chance to play the new Ocarina of Time 3DS at Nintendo World. 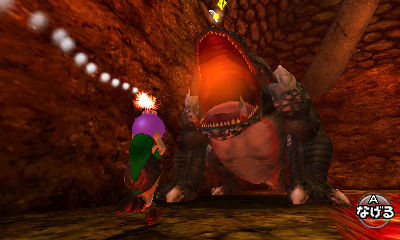 From their playing experience, they were able to find out a few new things about Ocarina of Time 3DS. After waiting in line for 90 minutes, they were finally able to play the game; there were 3 save files they were able to choose and play. -This was simple remake of the Kokiri Forest with new graphical styles. Link was able to run around and talk to the various Kokiri children. -This was another simple remake of the Gohma boss battle in the Great Deku Tree. 1) The touch screen allowed them to toggle between their map and item screens very quickly. They were able to assign items to unique buttons without pausing the game. It also allowed them to communicate with Navi. You know what this means! We all can look forward to “Hey! Listen!” all over again! 2) The 3DS allows a new way to control the camera view. The 3DS has a built in gyro capability which allows you to change the camera view by tilting your 3DS in various angles. 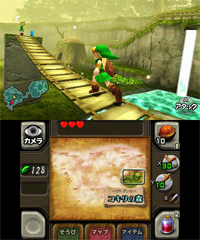 Also, Ocarina of Time 3DS allows you to use the more traditional method for controlling camera view; you can touch the eye button and control the view using a joystick. 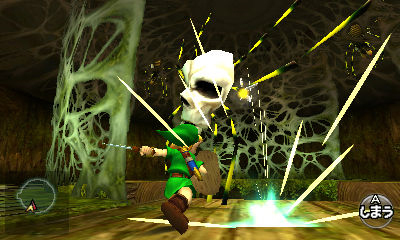 3) The gyro capability of the 3DS will be used for aiming the slingshot and possibly the bow and arrow. Andriasang didn’t mention the use of the joystick to aim, but I’m guessing it’ll be an option because it’s used with the camera change. As for the 3D effects of the game, Andriasang wasn’t really impressed with it, but just satisfied. They did enjoy how Link looked with the 3D effects; however, they mention that Ocarina of Time 3DS didn’t compare to Resident Evil. By comparison Ocarina of Time 3DS looked outdated. They bring up one final point about Ocarina of Time’s release date. 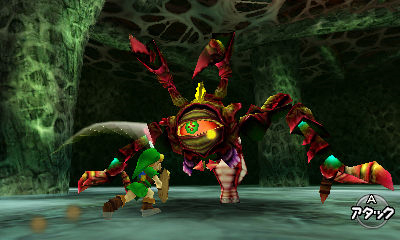 For those who’ve played Ocarina of Time now three times (on the N64, the GameCube and Virtual Console), the big question is what types of improvements or changes we can expect. Motion support for viewing and aiming, and the ability to select things from the bottom screen look like definite improvements to the classic gameplay. But we’re going to have to wait for Nintendo to tell us more about what else is new for 3DS. Zelda is not a launch title, so Nintendo is hopefully taking their time to make sure the 3DS version does justice to the name. Does this abolish the co-release rumor (Ocarina of Time 3DS would be released along side the 3DS) that came out a few weeks ago? If it does, then Nintendo will have plenty of time to add more features, cut scenes, dungeons, etc. That being said, how many of you will buy this game? I personally plan to buy it, and I’ve beaten Ocarina of Time at least 20+ times. The idea of having even one new dungeon would be worth my while. Give me several new dungeons and cut scenes and it’ll make my year. 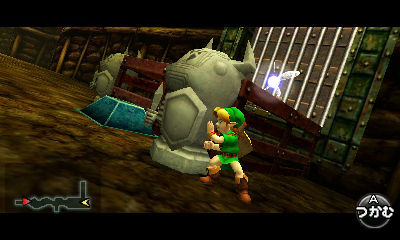 Some more Ocarina of Time 3DS screenshots.